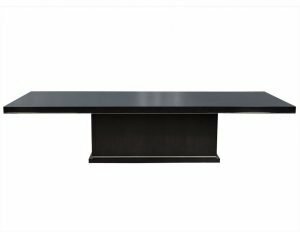 This elegant console table is part of the Carrocel Custom collection. 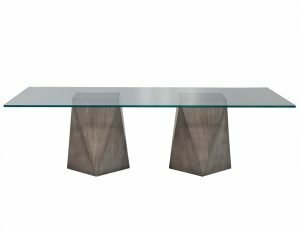 It is finished in a hand-rubbed and polished grey stain, with tapered legs and a rectangular top. A sleek and modern piece, perfect for any stylish home.